So, you want to buy a bidet, eh? Before you can zero in on a specific bidet model to check out, you might want to learn about the various types of bidets available. Sure, you want to know features and cost and all the rest. But there are so many types and models on the market today that narrowing the field is a must. Otherwise, it's into the dark woods without a flashlight. Is the Landscape of America’s Bathrooms on the Verge of Transformation? Bidet Control Devices: Wireless Remote or Side Panel – Which Is Best? So, here they are, the various types of bidet in a nutshell: Integrated, Seats, Hand-Held, Attachments, Stand Alone, and Portable. Just for fun – and because it will ultimately make more sense that way – I’m going to cover them in reverse order. The phrase “portable bidet” has a weird sound. 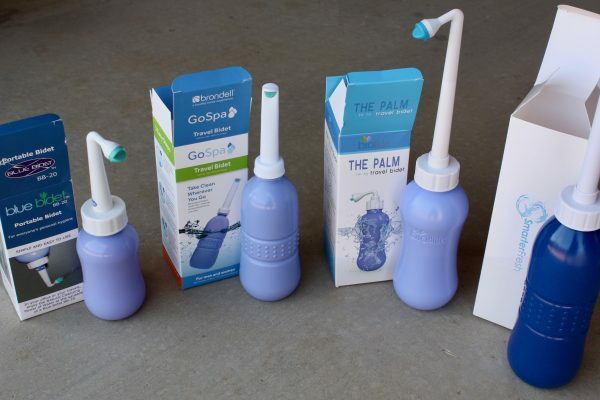 Who’d want to carry around a small toilet-bowl that sprays water on your private parts? Well, it’s not at all like that. Rather, what’s called a portable bidet is actually a small bottle, containing water or solution, with an attached tube and nozzle like the Brondell GS-70. This type of bidet is also known as travel bidet or bidet bottle. In any case, it does work well for the function, though it ties up one hand at least for the initial phase. With this type the only temperature option is whatever you fill the bottle with. You can only spray warm water if that’s available from a nearby faucet. For travelers, those with certain disabilities, or anyone who wants to “try out” the bidet function without investing in another (more expensive) bidet type, they can be a great option. If you want to learn more about portable bidets, read our Definitive Guide To Portable Travel Bidets. On the opposite end of the spectrum, there is the stand alone bidet. By “stand alone”, I’m referring to a unit that’s a completely self-contained, separate appliance in the bathroom. This used to be the only type there was. In any case, this style features all the working components of a complete bidet – but is decidedly NOT a toilet. It’s not intended to be used to eliminate waste, but only for self cleaning afterward. They’re usually one of the more expensive options and, of course, take up the most space in the bathroom. This type is common in Europe and many homes in Japan have one as well. They’re even popular in some countries in South America. But you’ll find relatively few in the US. Whether for reasons of space or cost or simply cultural inertia, it just has never caught on. One of the bidet devices you might find in an American home is a bidet attachment. A bidet attachment attaches to an existing toilet bowl, underneath the seat, hence the name. Portables aside, they’re usually the least expensive, on average, but they also have the fewest features. You can’t adjust the seat temperature, there’s no warm air dryer, and they rarely offer a remote control, just to name three of the many options often found on bidet seats. That’s because they are not electrically powered. That doesn’t necessarily mean you can’t have warm water. Some bidet attachments like the Neo 320 from Luxe Bidet or the FreshSpa by Brondell have an additional hookup to connect directly to the warm water supply in your home. If you want to learn more about bidet attachments, read our Definitive Guide To Bidet Attachments. There’s a type of bidet that is mid-way between a bidet attachment and a portable. It’s called a “hand-held” bidet sprayer. You can’t take it with you like a travel bidet. Instead, a T-valve and hose insert into your water line, just as an attachment or bidet seat would, but the spray wand is not inside the toilet. Like the kitchen faucet sprayer it resembles, the hand unit is at the end of a long hose, usually a metal mesh like the toilet’s water line itself. 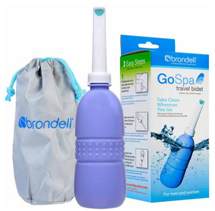 Hand-held bidet sprayers like the Brondell CleanSpa can require a little practice to use properly, since they obviously tie up one hand. On the other hand, no pun intended, you have complete control of where the spray goes. There’s no need to shift your body around on the toilet seat, or use a side or remote control to attempt to aim a wand where you want. Keep in mind, though, that very few of these units have dual feeds (for cold and hot water), knobs for temperature adjustment, and other features. 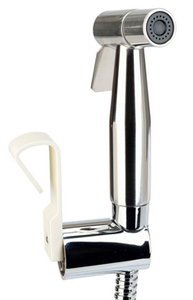 You can adjust the pressure somewhat by the degree of pressure you put on the hand lever/valve, of course. The style is not for everyone, perhaps, but some may find it an alternative worth investigating. 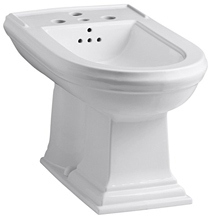 More often, you’ll find a “bidet seat” in the American bathroom like the TOTO C100 Washlet or a Bio Bidet seat. 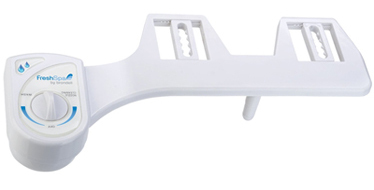 This type replaces the existing toilet seat with a combo seat-bidet. The needed spray jet(s) is (are) inside and under the seat, but they extend enough to get the job done effectively and cleanly. They’re correspondingly a little more expensive than an attachment or a hand-held, sometimes running to a few hundred dollars or more. But the improved functionality and increased ease of maintenance make the extra cost well worth it. They’re available in two basic types: electric or non-electric. The former lets you connect the bidet to an outlet to power a water heater, sometimes a seat heater, occasionally a warm-air dryer, and even a fan-driven deodorizer. 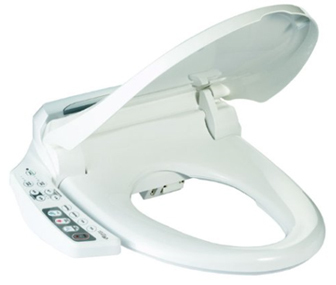 Bidet seats frequently come with full-featured hand-held remote control units. There are some that have instead a side panel attached to essentially the same model. Which control method is better comes down to personal preference. Like the bidet seat, this type has a toilet seat with attached spray jets placed and angled to cleanse you, but built-in to the toilet from the outset like the TOTO G500. In other words toilet and bidet in one. Not only does that provide improved styling, but the functionality is upped accordingly. A single manufacturer, in control of both toilet and bidet can more easily develop a seamless working appliance. This type is usually the most expensive, but has the widest array of features. 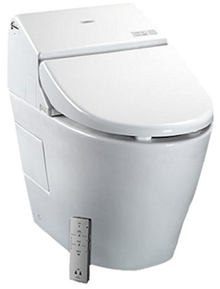 The Japanese toilet company TOTO is just one company selling different of these toilet bidet combo models. So there you have it, the various types of bidets available. Today’s bidets can offer valuable health and comfort benefits without taking up additional space in your bathroom. Prices range from a few dollars to $1000 or more, and here you really do get what you pay for. Because toilets and bidets are not so well known as, say, your favorite cell phone or computer I spent a good amount of time checking out all options. Being disappointed with the lack of good information available I decided to share my research online as I love writing and help people find their way online. And it helps to pay the bills too :) While this site is brought to you for free, I do earn a small commission if an item is bought through one of the links on this site. I see it as a little compensation for the time and energy I put in this site. My main goal however is to supply you with accurate info that is useful to help you in your buying decision. After all that's why you're checking out this site, no? It’s a mystery why bidets have taken so long to become popular in the United States. That is all about to change, I predict. These terrifically useful and pleasant bathroom appliances are gradually being discovered, now in larger and larger numbers of homes. The reasons are not far to seek. Price drops have put them within reach of the middle class. Travel overseas has introduced a lot of people to the delights and health benefits of using one. And, there are now enough models on the market to give potential buyers a number of real choices. 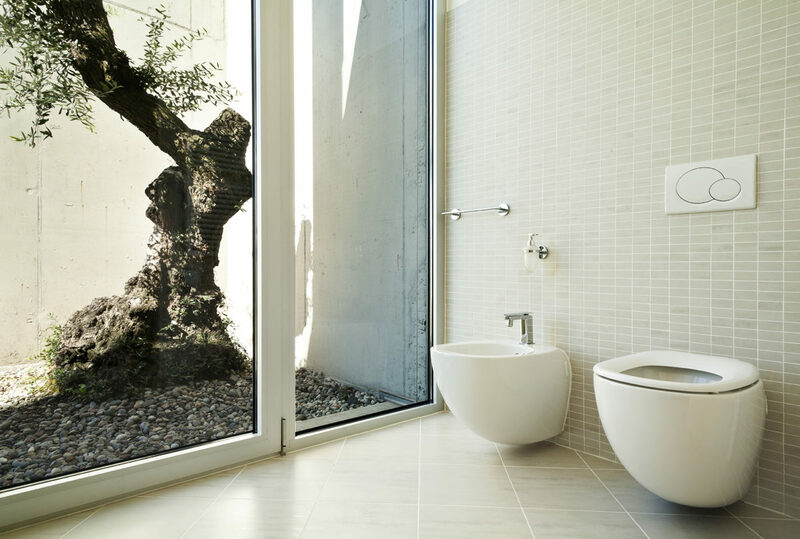 Even better, those options now include various types that don’t require taking up any additional space in the bathroom. That was one of the reasons cited by many for not looking into this highly useful appliance. Bidet add-on seats, attachments, hand held bidet sprayers, toilet bidet combo models, and even portable bidets for on the go make that reason obsolete. Toilets are in every home, of course. But even here, few bathroom remodelers know much about all the new options available today. Long gone are the days when a low-flow toilet meant frustration from having to flush multiple times. Today’s models are powerful, more hygienic, and packed with features like multiple flush options, automatic seat, built-in bidet, air deodorizer and much more – that were only wish-list items until recently. A huge expansion in brands, models, options, and price ranges has occurred. No one wants to think about toilets and bidets, understandably. And no one wants to spend hours researching all the available options. That’s my aim – to save you all that time and headache. To simplify, educate, and provide you with all the information you need to make your choices quick and easy. And, not coincidentally, to save you money wherever possible. 2016 -2019 TOILETBIDET.COM. ALL RIGHTS RESERVED.